It’s been a busy few months for the U.S. military. Between the Tomahawk missile strike in Syria on April 7, the first-ever battlefield use of the GBU-43 “mother of all bombs” in Afghanistan on April 13 and the movement of the USS Carl Vinson carrier group toward North Korea, war has returned to dominate media coverage. Much of this talk was framed in U.S. media in terms of humanitarian intervention. Bret Stephens, a columnist for the Wall Street Journal, emphasized humanitarianism in military action. “It’s time to make regime change in North Korea the explicit aim of U.S. policy, both on strategic and humanitarian grounds,” Stephens wrote. The demands made in these and a variety of other discussions rest on an assumption that the United States should use its military power for humanitarian reasons. Yet history should have long ago disabused anyone honest of that assumption. Here’s a look at four times when humanitarian interventions failed in their stated aims. The Democratic Republic of the Congo has tragic history defined by its horrific abuse at the hands of Western colonial powers. After 75 years of occupation by Belgium—notable for a cruelty of rule that shocked and outraged even the French and British—the country was granted independence in 1960. The independence was merely political, however, and Belgian business interests expected to still have privileged access to the country’s substantial mineral wealth. This access was secured with the retention of the colonial gendarmerie, the Force Publique. White officers remained in charge of significant elements of the country’s military, rank-and-file soldiers rebelled almost immediately after independence and pledged their direct loyalty instead to the country’s first prime minister, Patrice Lumumba. Like South Africa and Rhodesia, the Congo had a significant white minority, and this mutiny led them to flee en masse to the southern part of the country, especially the state of Katanga—site of much of the Congo’s mineral riches. Backed by Belgium, Katanga seceded from the Congo, sparking a civil war that lasted at least four years, killing at least 100,000 people. The United States intervened on purportedly humanitarian terms in the later phases of the conflict, three years after Lumumba had been captured with U.S. assistance and executed by a Belgian-directed firing squad. Lumumba’s supporters coalesced into an eclectic rebel movement known as the Simbas, for the Swahili word for lion. The Simbas ultimately controlled a large portion of the country’s eastern half. In November 1964, the Simbas took more than 1,800 whites hostage in a hotel in the city of Stanleyville—now Kisangani—as a desperate tactic. The movement’s fortunes had begun to turn in their conflict with the U.S.- and Belgian-backed DRC government. The government turned to the Western powers for help in rescuing the hostages, and the United States assisted on humanitarian grounds. U.S. aircraft deployed Belgian paratroopers and airlifted hundreds of hostages to safety. Twenty-four hostages were killed during the rescue attempt. 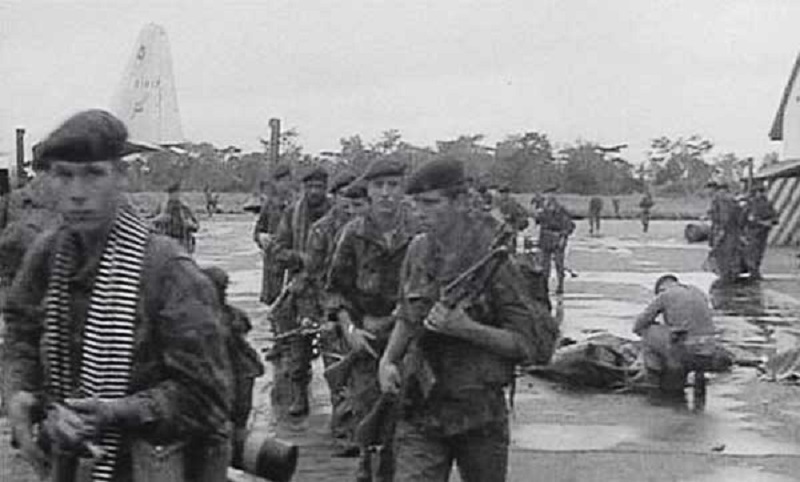 The raid facilitated the intervention of mercenary units that retook Stanleyville, hastening the end of the Simba rebellion and the consolidation of control in the main government based in Leopoldville. The not-so-humanitarian underside to the conflict was that this government’s reliance upon Western forces undermined Prime Minister Moise Tshombe’s credibility, leading to his dismissal by Pres. Joseph Kasa Vubu, thus strengthening the political position of Gen. Joseph-Desire Mobutu, the chief of the army. Mobutu deposed Kasa Vubu in a coup a year to the day after the raid in Stanleyville and would rule the Congo—which he renamed Zaire—for the next 32 years, backed by the United States and Western business interests the entire time. Despite a horrific human rights record and suppression of political opposition—not to mention the embezzling of somewhere between $4 and 15 billion from the world’s poorest country—the United States never deemed that humanitarian circumstance worthy of intervention, except to help the villains. 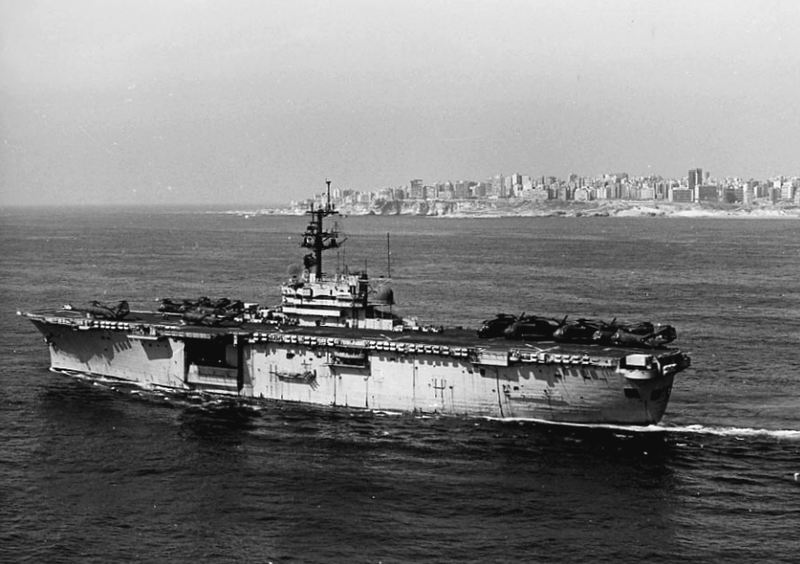 Lebanon’s Civil War began in 1975 as a complicated and shifting conflict principally between Arab Muslims aligned with the Palestinian Liberation Organization, who were based in the country’s south and later received assistance from Iran, and Maronite Christians aligned with Israel and Western allies. In 1982, Israel seized upon an attempted assassination of their ambassador to the United Kingdom as a justification for invading Lebanon. Israel laid siege to Beirut for weeks, forcing a settlement that brought in a multinational peacekeeping force led by the United States, Britain and France. The force was to oversee the evacuation of PLO troops from the city to a new base in Libya and the Israelis’ withdrawal back across their border. With the PLO gone, Israel bet that this would weaken the Arab forces and allow the election of a Maronite from the Phalange Party—Bachir Gemayel—who would be friendly to Israeli interests. The Phalange desired a Christian-dominated “Phoenician” Lebanon that identified with the ancient Phoenicians. The United States actually withdrew its Marines under a banner that said—no joke—”Mission Accomplished.” Gemayel’s assassination prior to his inauguration shattered Israel’s arrangements and even greater violence broke out after a Phalangist militia massacred hundreds of Shi’a Arabs in the Beirut neighborhoods of Sabra and Shatila in retaliation—the latter while Israeli soldiers watched and refused to intervene. This breakdown led Pres. Ronald Reagan to re-deploy U.S. troops to the flashpoint. At that point any pretense at being a neutral peacekeeper was gone, and Arab forces began to fight U.S. troops, culminating in the suicide attack on the Marine barracks in Beirut, killing 241 Americans. 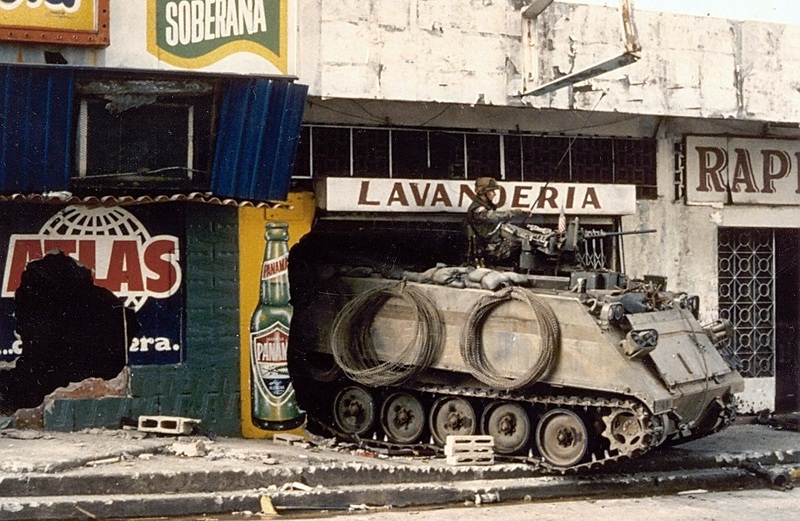 The U.S. invasion of Panama in 1989 has been curiously forgotten by many Americans. In that year, however, the United States launched Operation Just Cause on allegedly humanitarian grounds. Panama had been governed by outright or de facto military governments aligned with the United States since 1968, and its military leader since 1983, Manuel Noriega, was on the CIA payroll. In this capacity he and the country helped the United States in both its war against left-wing rebel groups in Central America and its commercial war on drug trafficking. Of course, Noriega’s role in the latter was to turn over the occasional competitor to his own drug dealing activities, which the CIA was fully aware of. This came to light during the Iran-Contra hearings and in reporting by Seymour Hersh. The United States was shocked that drug dealing was going on in Panama and began seeking Noriega’s resignation to quell the controversy. Noriega refused to play along and U.S. officials escalated by securing indictments against him for drug trafficking. Noriega burned his bridges with the United States in 1988 and 1989, culminating in his refusal to surrender power after a right-wing U.S.-backed opposition candidate—Guillermo Endara—won an overwhelming presidential victory. Shortly after this a military coup failed to depose Noriega, and U.S. media began clamoring for an humanitarian intervention against the Panamanian dictator. When Panamanian soldiers and an angry crowd trapped four U.S. Marine and Navy officers on Dec. 16, killing one of them, Pres. George H. W. Bush launched invasion plans, commencing on Dec. 20. Twenty-eight thousand U.S. soldiers, sailors, Marines and airmen deployed against Panama, which possessed a military force of 16,000 total. Presented to the public as a “surgical strike” that captured Noriega alive and extradited him to the United States where he was later convicted of drug crimes—and remains in prison to this day—the truth was much uglier. Central American and Panamanian human rights commissions estimated Panamanian deaths at between 2,500 and 3,500, the vast majority civilians. The prize for all this suffering was a scandal-plagued presidency from Endara, who the United States installed after Noriega’s capture. At one point the First Lady was even caught stealing donated foreign food aid and selling it for a profit through street vendors in Panama City. Panama is now engaged in a major truth commission effort to determine the identities of all those killed by the United States’ humanitarian intervention. This is the case that proves that humanitarian intervention can actually work, right? The U.S. military built a legitimate international coalition and took on a ruthless villain in Slobodan Milosevic through surgical, strategic application of force, ending human rights abuses and restoring democracy, right? Wrong. The first key to understanding the military stakes here, is to remember that this all happened in the wake of the collapse of the Soviet Union, which presented both Yugoslavia and the West with some pretty serious challenges. First, NATO had to justify its continued existence in the absence of the threat it was supposed to contain, the USSR. Second, there was a strong desire in the West to bring the Balkans into the Western economic order, and Yugoslavia had always been a fiercely independent socialist republic and not keen to fold up shop simply because the Russians had. For Yugoslavia, it faced the first bracing ice bath of neoliberal economic reforms after opening to market forces and multi-party elections in 1990. This gutting of the social safety net its citizens had come to rely upon and the privatization of state enterprises—and all the volatility and displacement associated with that—created political chaos. Nationalist factions among the various ethnic groups within the country took advantage of this displacement and began secessionist movements in each of the republics that had made up the Yugoslav federation. This raises the main question of the Yugoslav Wars—was this a civil war internal to Yugoslavia or were these wars between sovereign republics? If this was a civil war then backing secessionists against the Yugoslav state functionally counts as aggression against that sovereign government. The government also bears quite a bit more leeway in terms of international law and norms. No one will deny that the Yugoslav state—which ended up dominated by Serbs—was complicit in ethnic cleansing, but civil wars are awful affairs and facts suggest a more gray-area conflict as opposed to the black-and-white terms the advocates for intervention claim. For instance, Croatian troops and paramilitary forces expelled hundreds of thousands of Serb civilians from their homes without being bombed by NATO. The Western powers, however, recognized the various nationalist secessionist governments and portrayed Yugoslavia’s war against them as a singularly criminal act. Not only this, but on multiple occasions the United States and its allies sabotaged attempts to broker a peace between the parties. Bosnia’s various ethnic leaders signed the Lisbon Agreements in 1992 and peace over this highly contentious republic seemed at hand until Bosnian Muslim leader Alija Izetbegović met with the U.S. Ambassador to Yugoslavia and apparently received assurance that the United States would recognize an independent Bosnia and provide it with military support. He withdrew his support and the war continued. Seven years and tens of thousands of deaths later the main questions of the conflict had shifted to the matter of Kosovo, and the Yugoslav government came together with representatives of Kosovar Albanians and NATO in the Rambouillet peace talks. The Yugoslav government was willing to entertain substantial autonomy for Kosovo and saw the talks as an opportunity to determine the method by which Kosovo would organize its governance and its relationship to the federal Yugoslav government. NATO powers, however, colluded with Albanian separatists to arrive at an agreement that even Henry Kissinger denounced as “a provocation, an excuse to start bombing.” The agreement said that 30,000 NATO troops would be stationed in Kosovo with absolute right of transit through any part of Yugoslavia and total immunity from Yugoslav laws. Unlike the 1995 Dayton Accords which used NATO troops to secure a now-independent Bosnia-Herzegovina, Yugoslavia never intended for Kosovo to be independent, but merely autonomous. 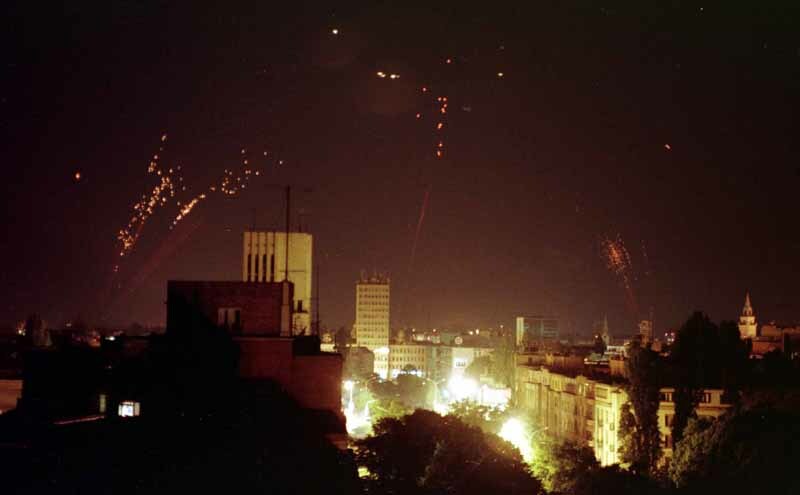 What remained of Yugoslavia would not accept a hostile force with free reign on its territory, such as NATO proposed, and NATO bombing began two months after the talks collapsed. The outcomes of all this humanitarianism have been little better than in the other countries visited by military intervention. Kosovo remains in an unresolved state marked by “lack of transparency and accountability in (its) public administration,” resulting in “widespread corruption … hostile property takeovers and security risks” according to the GAN Business Anti-Corruption Portal. As for Bosnia-Herzegovina and the accords used to settle the conflict there, they have literally balkanized the country, baking in ethnic division. Among the worst effects of this setup is that by dividing the country between Bosnian Muslims, Serbs and Croats they leave other ethnic minorities disenfranchised. The accord negotiations disregarded the Roma in particular because most of them identified as “Yugoslavian,” a reminder of how the Yugoslav Federal Republic served as a bulwark for minorities and others uninterested in nationalism and ethnic conflict. This protection was ripped away by war and intervention, and this most successful instance of the practice has nonetheless left tens of thousands of people disenfranchised or locked into failed states.